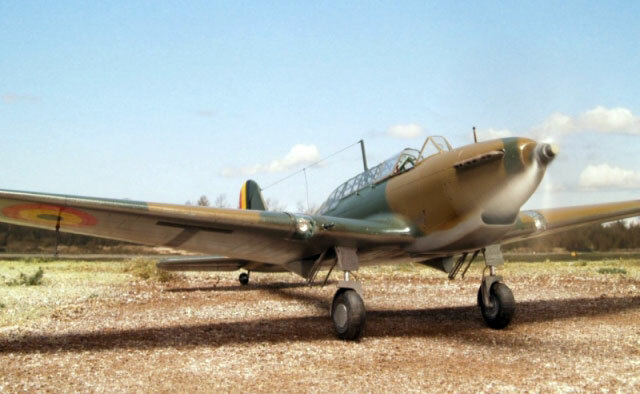 The Fairey Battle was already obsolete when hostilities began at the outbreak of WW II, even though the first Allied aerial victory of the conflict was claimed (and confirmed) by the rear gunner of a Battle of No. 226 Squadron on September 20, 1939. While several governments expressed interest in the Battle, only Belgium placed an order before the war began, and 16 machines were delivered in March of 1938. The Belgian machines were a little different than the British ones, namely the elongated air intake under the nose, semi-gloss paint, and some minor differences. They equipped No. 5 and 7 Squadrons of the 3rd Air Regiment based at Evere. On May 11, 1940 9 Battles took part in the one and only combat operation undertaken by the Belgian Air Force using Battles, attacking the anti-aircraft installations on the three bridges over the Albert Canal. Six were shot down. Battles in British hands during the Battle of France did not fare much better, and sending Battles on combat missions was soon considered to be close to suicide missions. The surviving Battles were used for observation missions. Battle No. T-73 was one of the survivors, and flew it's last mission on May 18, and that evening it was destroyed on the ground by a Luftwaffe raid. T-73 was the sole machine to carry the Belgian colors on the rudder, and that is why I chose to model this machine. Separated the elevators, rudder, and rudder trim tab. Scratch built trim tab actuators. 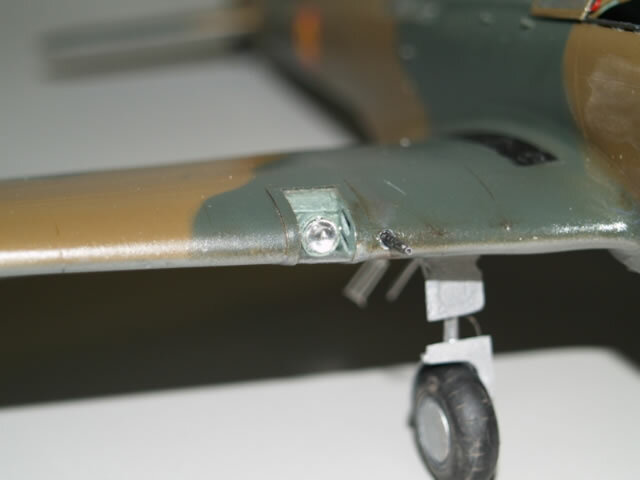 Wing nav light lenses made from clear plastic stock, glass bread used for the tail light. Recessed the resin landing lights and installed MV lenses, edged the clear lens covers with strips of Fast Frames material. Pitot tube modified with shaped 25 ga. hypo tubing. Hydraulic retraction rams are white metal from Aeroclub. Prop mounted on brass tubing, fitted inside a brass sleeve in the nose for free spinning. P.E. ring sight from spares stash mounted inside windscreen. 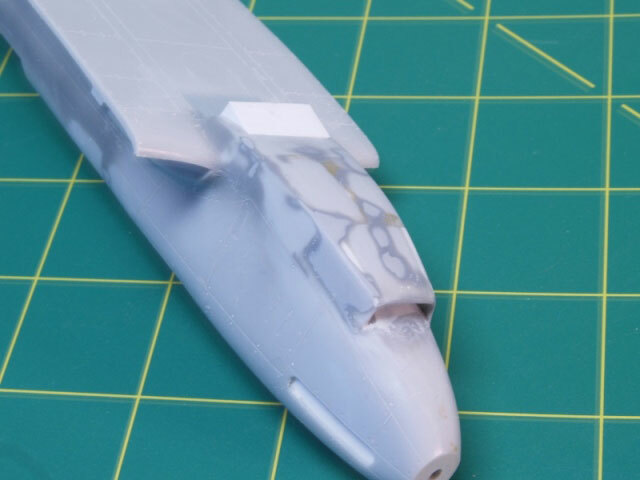 Venturi tube from spares stash mounted on the port side of the nose. 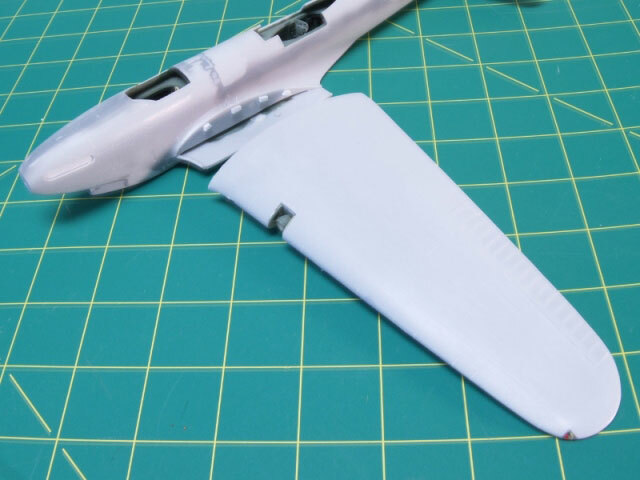 Retractable hand holds on the starboard side of the fuselage made fron 23 ga. hypo tubing. Scratch built extended radiator/carburetor air scoop under the nose. "V" supports for the canopy frames made from .010" brass wire, used the spare canopy that came in the kit as a drill jig to locate and install the braces at the correct angle. Canopy rails are .015" wire. My Battle was painted with Model Master enamels, (Alclad Airframe Aluminum on the front face of the prop) and finished with Testor's semi-gloss lacquer. All markings masked and painted, as I could not find Belgian decals of the proper size. References were from walkaround photos from the web and the excellent Aviation Guide Fairey Battle book by Ian D. Huntley (SAM Publications).